I urge every reader of this review who has not done so to rush out and buy this album. Although all of the songs are good, go straight to Kick out the Jams and play loudly. You will not have heard anything like it and you never will again. Volumes could be written about the political climate of 1968 and the atmosphere in which a band like the MC5 could emerge and produce a sound and energy that would tap into the dissident anger and dissafection of the emerging counterculture. The fact of the matter is, the 5 were, in the opinion of Lester Bangs, one of the best bands this country ever produced. On Halloween night in 1968, they were recorded on stage capturing a performance so furious, with so much rage and energy, that to this day, almost forty years later, this document stands as a testament to the power and passion that rock and roll can produce. One of the first bands to utilize a twin lead guitar front line, they invented by shere force a crunching riff attack as propulsive and compelling as the threatening supernova of their social revolution. They burned white hot, and burned themselves up. Ultimately they paid the price for their radical extremism succumbing to the trappings of drugs, making themselves political enemies and ending up in jail, even claiming the lives of some of their members. 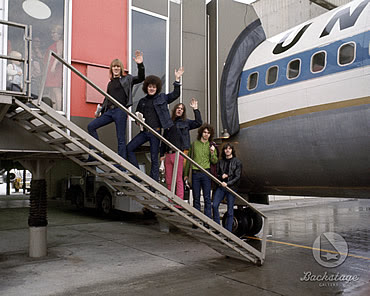 But while they lasted, they produced some of the most powerful music rock and roll has ever seen. Prepare to be pulverized! It is a must own for rock fans. I am not very fond of proto-punk myself, especially since my first taste of it was from that god-awful American Idiot album by Green Day. However, these fellows deliver an uplifting, politically charged album that gets the blood going. 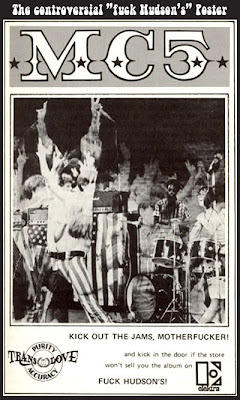 When it comes to obnoxious agression and extreme volume in 60s Rock, nobody--not The Who, not Cream, not Hendrix, not even Blue Cheer--could beat the MC5 as a live act, and this disc captures this band at the height of their prowess. The Frost sound light years more primitive and tiny with their little Beatle amps, than the MC5 did the year before. The MC5 definitely had the latest blastoid gear in existence at the time--big Marshall amps cranked to the max, guitars with whammy bars afixed and feedback-capable. The only reason I mention the fact that this is not punk -- I was there at the Electric Circus in Manchester, England in 1977 to see the Stranglers, the Damned, and many others -- is that it might put people off who would otherwise be amazed by this album. I once managed to convert a rabid Ted Nugent fan, for example. Punk is essentially speedball thrash (in a good way! ), but this is akin to Led Zep and the Who (the MC5 supported them at a Toronto gig in 1968: sheer musical mayhem!). 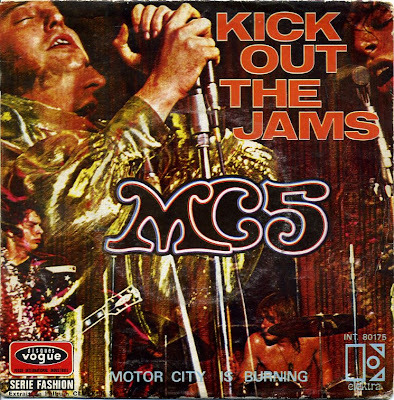 The MC5 were not a Nuggets-style band (and again, I have no problem with such bands), but heavily influenced by the likes of boundary-pushing jazz giants like John Coltrane and Sun Ra (in fact, theres a Sun Ra piece on this very album). Kick Out The Jams still sounds astonishingly powerful after almost 30 years. Recorded live at Detroits Grande Ballroom in 1968 this relentless aggressive set offers the frenzy of politicized garage punks blasting through giant stacks: a blitzkrieg of hard rock ignited from the dueling guitars of Wayne Kramer and Fred Sonic Smith and of the throttled vocals of Rob Tyner. The Stooges with barricade-busting ideals the Five turned the Motor City into a Mecca of sonic excess and shattered the dazed dreams of hippie America. From the pounding of the title track to the eight-and-a half-minute weirdout of Sun Ras Starship Kick Out The Jams will rip your head to shreds.